A quick look at my books tells me that Big Philou does not rate a mention by anyone. An old Miller's Guide tells me his record was 55 starts for 10-11-4 with 30 unplaced which will be tedious going (earnings $103,200). If he hadn't been doped and won the Cup he might have been written up but alas he didn't and wasn't. His earned less than Samson, Cabochon, Longfella, Bonfield, Star Shower and Prince Grant, Scotch and Dry had 17 wins, Ripa 13 Fulmen 16 ,Begonia Belle 13 wins but all with less prizemoney. I am not suggesting they competed against each other its just that no one thinks he is worth it. I remember Big Philou racing in the 1974 Hobart Cup. By that stage he was a shadow of his 4yo self. 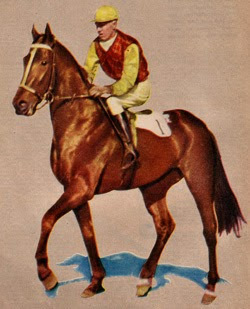 As a 5yo he took the Underwood Stakes and was unplaced in his other 2 starts and as a 6yo (1971-72) was 3rd in the Caulfield Stakes and Caulfield Cup with another win and a third with 5 unplaced runs. He was favourite for the 1972 Australian Cup when he suffered a back injury in training and from then on he was never the same, finally retired in early 1974. He had just 10 wins from 52 starts but he was a top-class horse in his 4yo (1969-70) season. That Queen Elizabeth "match-race" with Rain Lover was the highlight of the autumn. Just an amendment to Heroic's record on page 1. 162 starts, 51 wins (2 x Group 1 (retrospective)), 27 seconds and 21 thirds. Win % 31.1, Place % 60.4. Three race dates marked '#' below were not included in the 'Racing Record' compiled by Jack Glengarry in his book titled "The Great Decade of New Zealand Racing 1970-1980" (published in 1983). Jack Glengarry listed 159 career starts whereas these two omissions take Grey Way's total career starts to 162. Despite the omission of one win the 'Summary' of career wins appearing at the end of the 'Racing Record' in Jack Glengarry's book remain unchanged at 51. In the The Tapestry of the Turf - History of New Zealand Racing by Costello and Finnegan (published 1988) the authors, at page 429, state that the 'Washdyke Wonder' started 159 times for 51 wins and 49 minor placings. Mark Taylor's book "Century of Champions, 100 Great Australian and New Zealand Racehorses" (published 2002) has Grey Way starting 164 times for 51 wins 27 seconds and 21 thirds as does the New Zealand Racing Hall of Fame website both without further details. This means my record omits 3 starts. Bloodhound.net and "https://loveracing.nz/RaceInfoSearch.aspx?q=Grey%20Way&s=All&g=All&r=undefined&t=Name#horse" both have 162 starts for 51 wins 27 seconds and 21 thirds and in my opinion both are correct although I do not agree with all the detail contained in the race records. I have treated Grey Way as finishing fourth on 8 November 1975 and others may have treated Grey Way as finishing third. They may be right. See note at the end of the 1975-76 racing record for further details. I went to a library to look at the New Zealand Turf Registers ('NZTR') for the 1976-77, 1977-78 and 1979-80 racing years however the 1976-1977 edition had pages missing and I did not have time to make complete copies of all race starts but I did copy the index pages and 162 starts accord with the total entries in the index of each year's NZTR plus 4 Australian starts. Prizemoney, where known, appears at the end of each race record in the local currency and in part is based on information from Bloodhound.net where I do not have NZTR details. In the 1972-73, 1973-74, 1974-75 and 1978-79 the New Zealand Turf Register listed in finishing order all horses receiving prizemoney (generally first to fourth). All the other starters were listed in weight carrying order (from highest to lowest) and where horses carried the same weight in alpahbetical order. Grey Way is recorded below as unplaced if he did not receive prizemoney in those years. 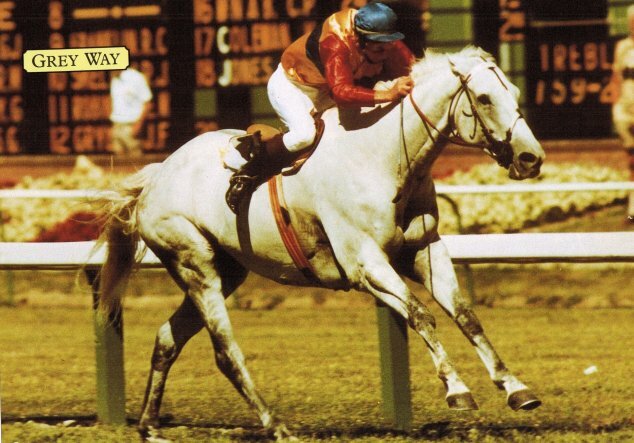 Taking Grey Way's race on 17 March 1973 as an example Grey Way did not earn prizemoney (paid down to fourth). The other 17 starters were listed underneath the first four in weight carrying order. Grey Way was listed 13th of the 21 starters as he was weighed 7.13 (the 12th named was weighted 8.2 and the 14th named was weighted 7.12). Grey Way was not the thirteenth starter to finish. The five listed 17th to 21st all carried the same and lowest weight of 7.7 so were listed in alphabetical order. The best that can be said of the detail provided by the NZTR is that Grey Way finished unplaced of 21. * Shown in NZTR as finishing equal third but treated as fourth (after third placegetter) as taken to be a typo as margins do not reflect a dead heat for third. Of course I might be wrong about this. ## This race included in the Jack Glengarry's 'Racing Record' as being run on 13 Nov 1979 when the race was actually run on 13 Oct 1979. A huge effort to put that record together, timw. There's a NZ racing forum which could be worth a try to trace those missing(?) starts, if you haven't already contacted them. racecafe.co.nz have a link to the latest world rankings (posted 4 Nov the day after breeders cup meeting). Cracksman and Winx are both given 130 and enable who hasn't been beaten for 18 months with 9 from 9 including 2 arcs and a breeders cup turf could only get 125. On 123 we have Benbatl (who some pom said is ordinary or something like that) Happy Clapper, Trapeze Artist and Thunder Snow among others). Thunder Snow has had an interesting career to date. As a 2 he won a group 1 in France. As a 3YO he was sent to Dubai for a couple of dirt runs before blowing the start in the Kentucky Derby. Rushed back to Europe for the Irish 2000 guineas and other mile races (he won his second G1 in France on turf and then finished the year with 15th of 15 in his last race at Ascot. As a 4YO he was sent back to Dubai for 4 starts winning the World Cup on dirt then back to York to run 8th of 8 on turf before going to US where he ran 2 good races on dirt inc Breeders Cup Classic third. He has won over USD 9m yet seems to be a stable hack at times - perhaps he doesn't like England. Thanks - got a response from racecafe that Grey Way's record is on nzracing (162 starts). This is surprising as records weren't kept electronically when Grey Way raced so it must have been included some years later and seems to be based on information in New Zealand Turf Registers. Have found a number of errors. It also omits one possible start and possibly omits another start to make the 164 starts that NZ racing hall of fame has as the total starts. In frustration i am off to a library next week to investigate further. Thanks Tim, I'll be interested to see if your research does confirm the 164 starts. Given that Grey Way is in their Hall of Fame, it is surprising that his record is still likely incomplete. In looking at the footage on the NZ HoF site, he was a striking looking horse and pretty gutsy as well. I notice that his Wikipedia page describes him as "the New Zealand equivalent of Gunsynd" and you can understand why they make that comparison. Some great gallopers there. Tony Arrold had 144 comprehensive career records in his two books. Dhaulagiri, Igloo and Skyline were the 3 in Champions which contained his best 75. The others were in More Champions. Does Arrold have Paris' full record ? The one's in bold I have access to mainly through Peter Pring's work but I haven't bothered transcribing them because some fall short of my mark. Good horses everyone of them but I have to draw the line somewhere. Obvious exceptions are Imagele and Matrice. Tonto, he has only included Paris' Australian record (46 10/4/4). It's the same for other horses with overseas starts, like Crisp. Arrold states in his introduction that he has included "even horses which, while never claimed in championship class, had rare and admired qualities - performers such as the evergreen sprinter Zambari, the aptly named weight carrier Samson and the durable River Seine". Both were great books when they came out in the early 80s, although there were some idiosyncratic choices (Star Shower). Winooka is interesting horse on the list. He went to the US towards the the end of 1933. He returned to Australia to race in the Spring of 1933 and then went back to the US in the Autumn of 1934. He returned to Australia to race in the Spring of 1934. I was only able to find scant details of about 4 starts in the USA. His only win in the US may have been at Pimlico in Nov 1933. I gave up at that point. Don't we have Winooka ? Winooka was galloped on and broke down at the top the straight. Never heard of this guy and I thought I knew that period reasonably. Eskimo Prince, Eye Liner, Martello Towers, Pago Pago and Proud Miss are excellent examples of stars that burned brightly but oh so briefly during their time on the Australian Turf, On the other hand on that list we have River Seine (and,not on the list, his more-or-less contemporary Russia) who raced on and on just below the real champion level for season after season. Spot on about River Seine, Brian. Others from that era like Grand Print, Craftsman, Yangtze and Prince Grant for example, just seemed to keep on keeping on year after year. Winooka's Doncaster win was an exceptional one with 63kgs and in record time. Was he the only top-class horse to go from Australia to the USA and to return to continue racing? 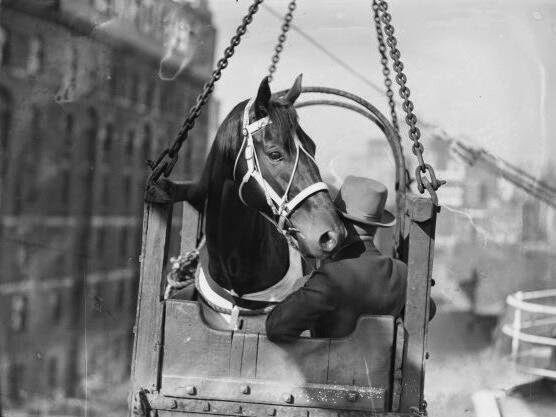 Winooka kind of got lost in the long shadow of Phar Lap but he was big news in his day. The trip to America had expectations of a showdown with Equipoise that was always on the cards but never eventuated. His Autumn campaign in 1933 would have to rate as probably the best from a sprinter/miler with three course records and an Australasian mile record, extended margins and a Doncaster win with 63kg. Just a note that the latest in the Kings of the Turf series has just been put up online, this time the fascinating story of George Hanlon and Taras Bulba. Great reading! I have updated Grey Way's race record. I am still not entirely happy with the detail for the reasons stated in the introduction to the race record above. There is one thing I think I have got right and that is that Grey Way had 162 starts and not another number mentioned by some sources referred to in my introduction to the race record. The NZ racing hall of fame video has 164 starts and I think it is embarrassing if they have got it wrong. Thanks also owed to Sean who I met at the library doing research who I think contacted one of the Kelly's of Bloodhound.net who sent me a copy of their Grey Way record gratis. Sean wanted to know where he could get his hands on detailed French racing records. I told told him I thought the national library in Paris should have them in some form (not very helpful) but if anyone knows anything about local records I will pass it on. I will continue to update Grey Way's record as information comes to hand. I am not sure exactly what Sean is chasing but http://www.france-galop.com/en/horses-and-people/horses is a good place to start. Tim, that's shown great persistence to finally nail down Grey Way's starts. Grey Way's is a remarkable record of longevity and he deserves his place in the NZ Hall of Fame. Given their access to the New Zealand Turf Registers and to the need to simply count the number of starts from the index, it's surprising the Hall of Fame haven't bothered checking his record, but it seems they share the same indifference to historical accuracy as their counterparts on this side of the Tasman. Still, their site is a great resource, interesting to visit and a lot of work has gone into the videos; besides it's not the season to be curmudgeonly. Not sure where this can be verified but the placegetters in Schillaci's maiden were Mavournae and Colonial Melbourne. I only remember this because Mavournae went on to be smart in her own right and her wins included the 1992 Rubiton Stakes (Colonial Melbourne never rose to any great heights).